Historic Oakwood, Downtown Raleigh, N.C. Historic Oakwood is a nineteenth-century neighborhood in Downtown Raleigh, North Carolina, with hundreds of homes in a variety of architectural styles. Gardens and wide front porches are hallmarks of this friendly, active neighborhood located within walking distance to museums, restaurants, and shopping. Historic Oakwood is a very popular neighborhood and homes usually sell quickly. 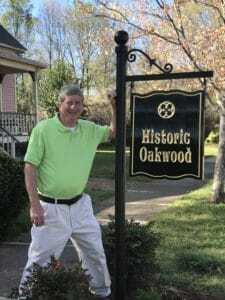 School assignments for homes in Historic Oakwood can be found here.